7Common Locations: Found all over the world, most notably Brazil and Arkansas, USA. Rock crystal is considered by some to be a versatile gemstone, suitable for all signs. According to others, it is best suited for the foregoing. Yet there is no contradiction on the issue that rock crystal would not hurt anyone. One of the root European myths associated with rock crystal, is the above belief of ancient people that this is pure water frozen in perpetuity. Common Locations: Found all over the world, most notably Brazil and Arkansas, USA. In medieval miner in the Alps believed that caves with rock crystal live gnomes (dwarf) – guardians of the Mineral Resources of the mountain. 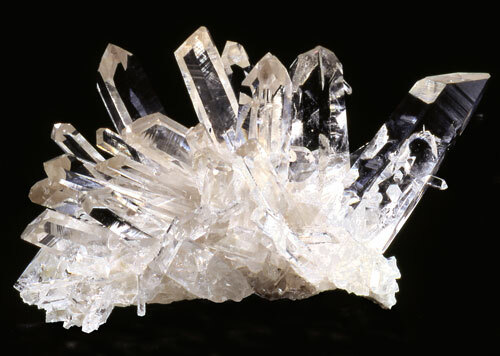 There is a belief that dreaming rock crystal will be delivered from your enemies. Furthermore, it is believed that this is a sign of magic and divinatory abilities. Indians in America believe that the souls of the dead become rock crystal and therefore it contains all human knowledge accumulated on Earth so far. For this reason, rock crystal, magical and medicinal purposes should deal only initiates. One of the greatest mysteries of the 19th and 20th centuries is that of a human skull from rock crystal. For them allegedly are made in pre-Columbian America and are used by local Indians in their magical rituals. Best known from the all is so skull Mitchell-Hedges (privately owned), where the lower jaw is separated from the rest, as in the human skull. 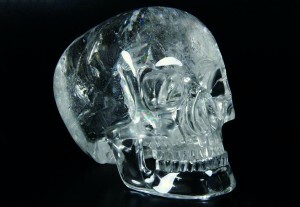 All other skulls objectives, ie a piece of crystal.